How do I market? First off, most of my clients come from my current clients. I established my practice over 20 years ago, so it is pretty natural that many of our prospects come from referrals. That is very gratifying. However, marketing and prospecting for new clients is a passion of mine. Having a strong online presence, utilizing social media, and building connections to people are three areas that I really have embraced. People want to know that they can “Google” Karen DeRose and will find her and her firm. And, increasingly, they want to be able to find you and your firm in other digital channels. This is especially important in the context of how we see our practice evolving. My son Anthony is a member of the firm, and we have several other younger staff members. We see our practice as a generational wealth advisory firm. I think that is an important distinction for our firm—we frequently work across three generations in a family, and can handle just about every planning need at any life stage for both business owners and individuals. It is critical to this effort that we stay on top of technology and the latest means of communicating to clients and prospects. Our website: Anthony takes the lead on that and has been instrumental in its design and functionality. All staff members have personal profiles and credentials posted, and there is a robust description of our philosophy, services, and process. We are constantly updating it with new content and articles. We also feature awards, recognition, and organizations that we are part of. All of these elements work to reassure a new prospect that we are reputable and have significant experience and resources to address their needs. Twitter and Facebook: We have an active presence on Twitter. It is great for sharing content, posing topical questions with links back to our website, and numerous other tactical opportunities. Facebook is a must for prospects from the millennial generation. Beyond that, it is another way to get our credentials and capabilities out there and also to deliver a more personal look at our staff members. LinkedIn: LinkedIn is excellent for building your personal and professional network, and another method of communicating background, experience, credentials, and recognition. I find it is especially useful for building professional connections and promoting visibility for groups I take an active role in. 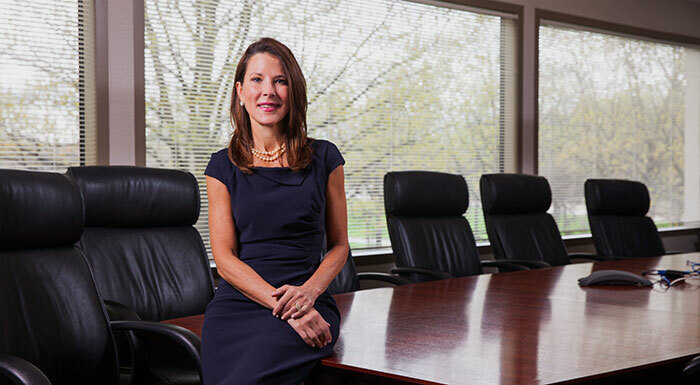 I am particularly proud of my involvement with the WISE Group, an organization for women advisors within Lincoln Financial Network, where I am currently chair. I also started the local chapter of BNI, which is a nationwide networking group for small businesses. This article first published in Proactive Advisor Magazine on June 1, 2016, in Volume 10, Issue 7.